Born in São Paulo, Brazil to a Chilean mother who loved opera and an Italian father who loved rock and roll, Ruzza developed an eclectic musical ear at an early age. By age 13, she was already gigging regularly in Brazil, and in 2003 began recording and touring with the all-female country band Mustang Sally. 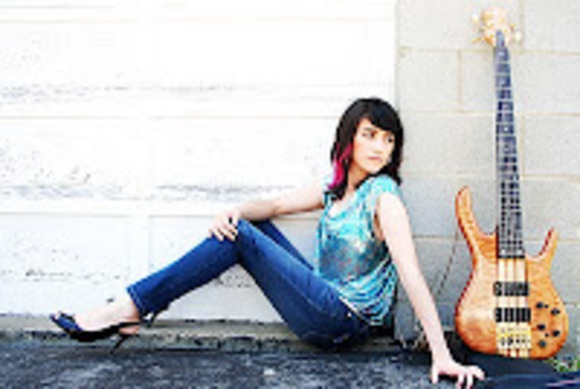 She currently performs with her group the Amanda Ruzza Quintet and other artists in the Tri-State New York metro area. The Lexicon LXP Native Reverb Plug-In Bundle is Native only, and requires iLok authorization. It is currently available at a suggested retail price of $599.95. For more information please visit www.amandaruzza.com for upcoming performances and other information.